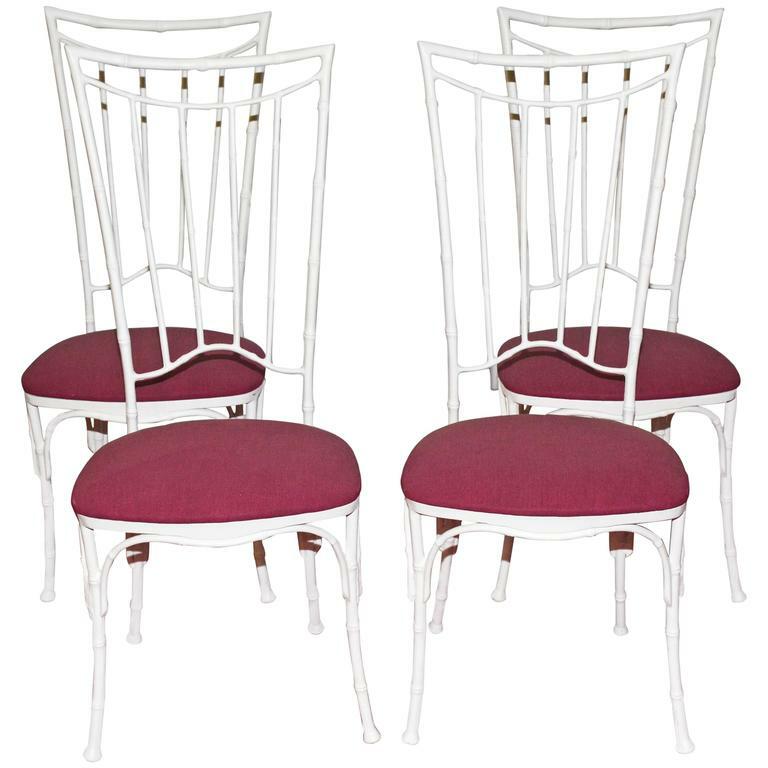 The faux bamboo dining chairs are made of wrought iron painted white and have seats upholstered in purple outdoor fabric. 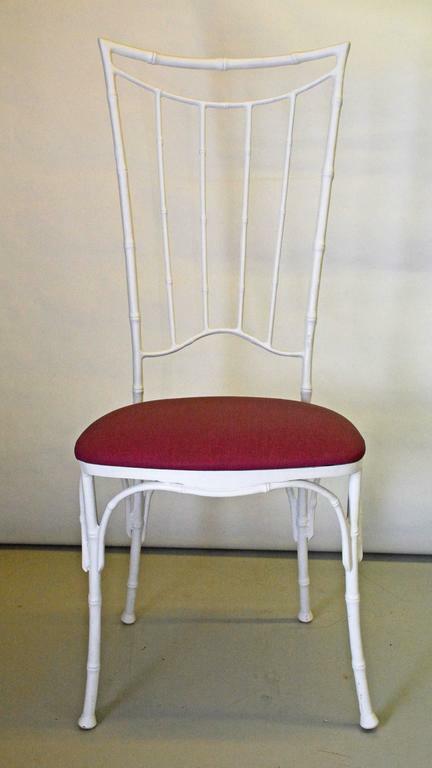 Seats can be easily recovered with a fabric of your choice. 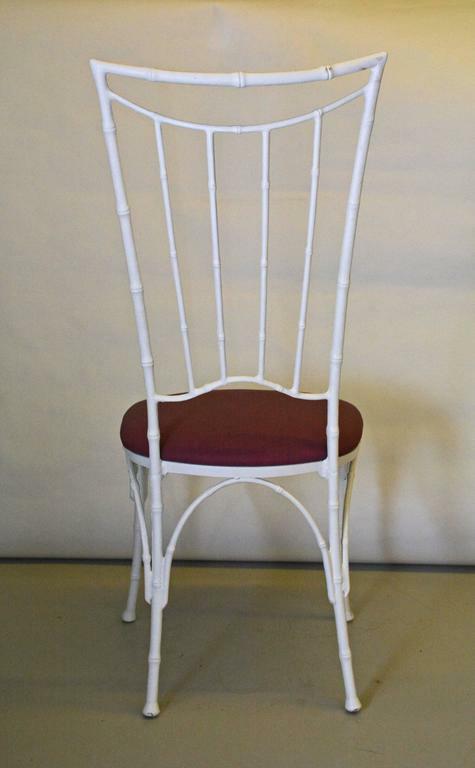 Please ask us about it. 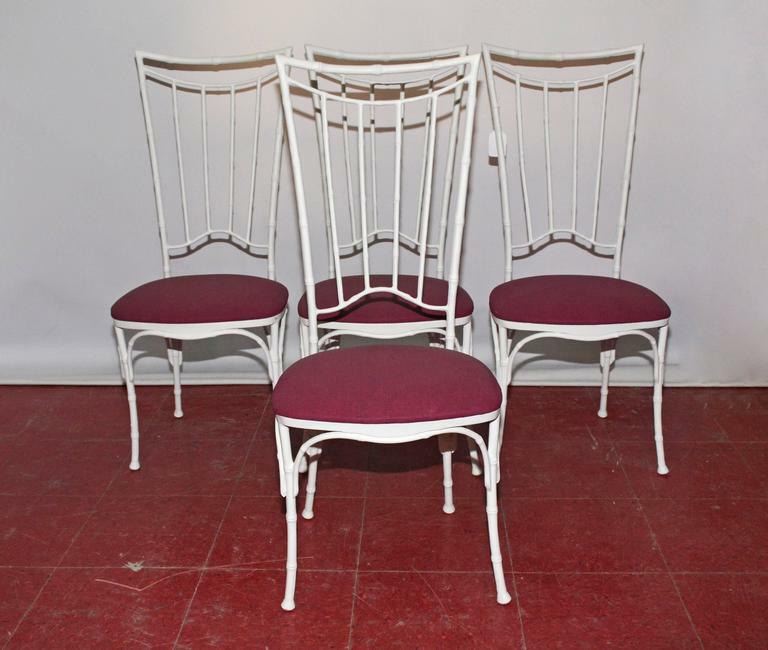 The faux bamboo dining chairs are made of wrought iron painted white and have seats upholstered in purple outdoor fabric. 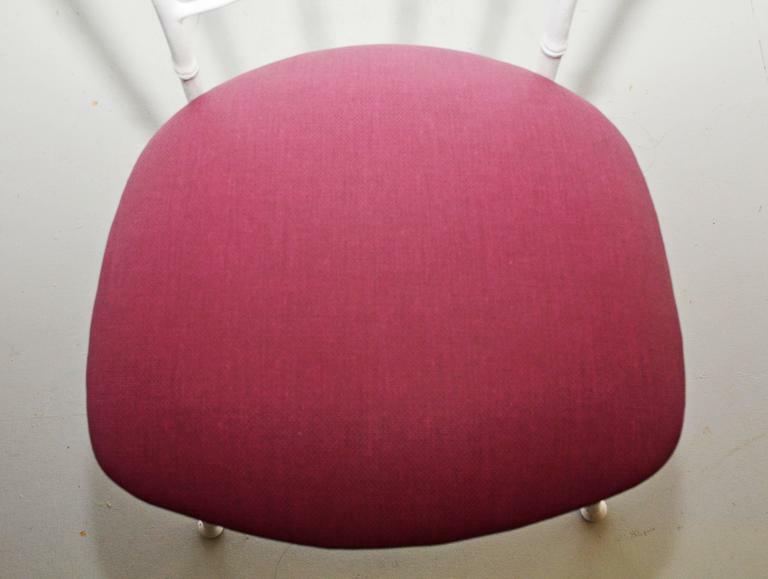 Seats can be easily recovered with a fabric of your choice. 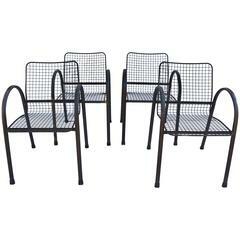 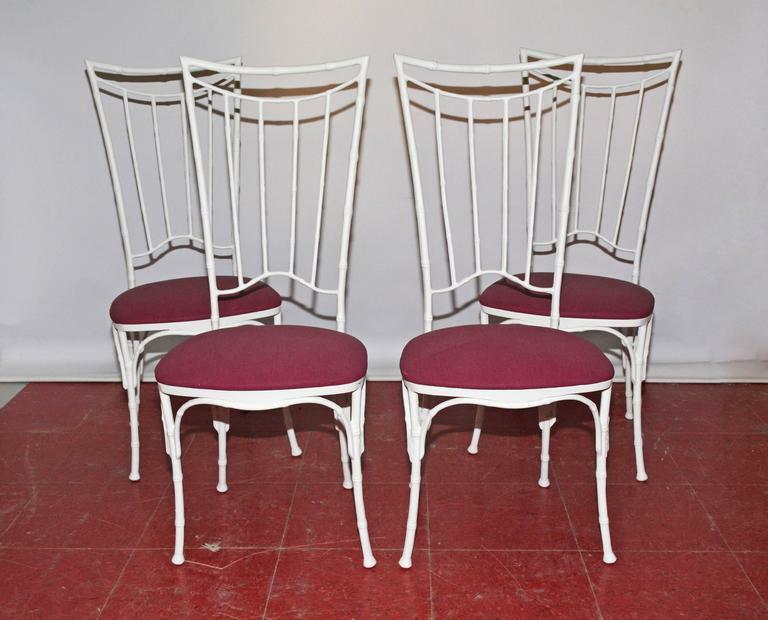 Set of four u-shaped arms metal garden dining chairs with airy wire mesh seats and backs attached to cross bars. 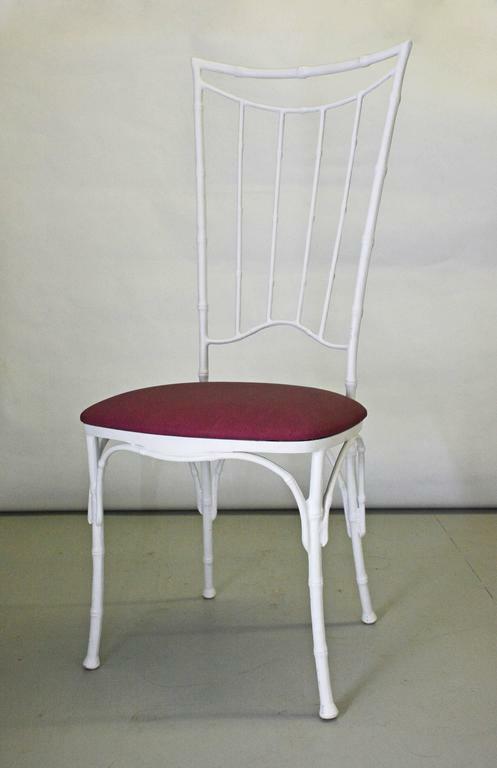 Great for patio, porch dinging and seating, very comfortable! 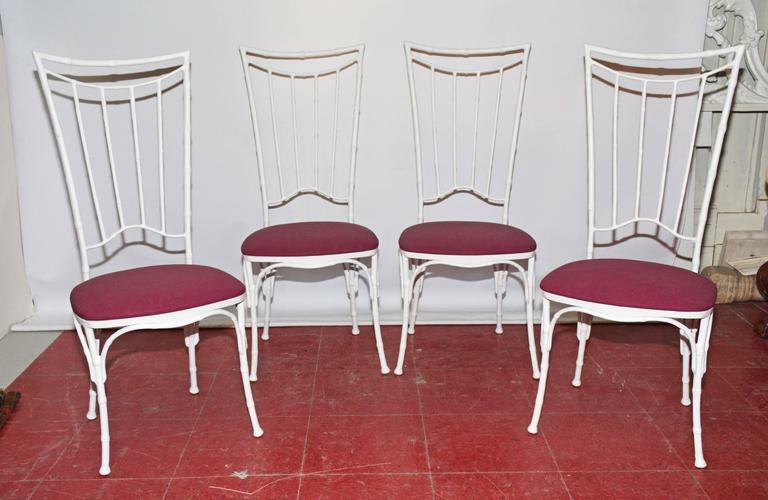 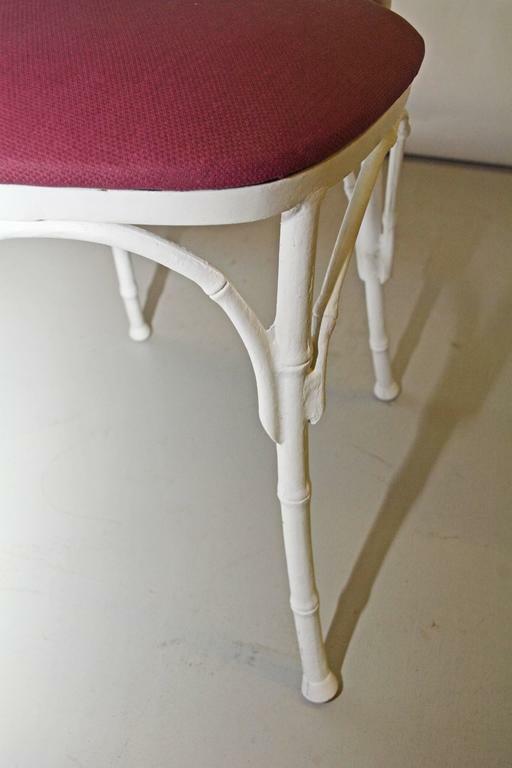 Set of four old French garden chairs from Paris with a new professional dark green finish.